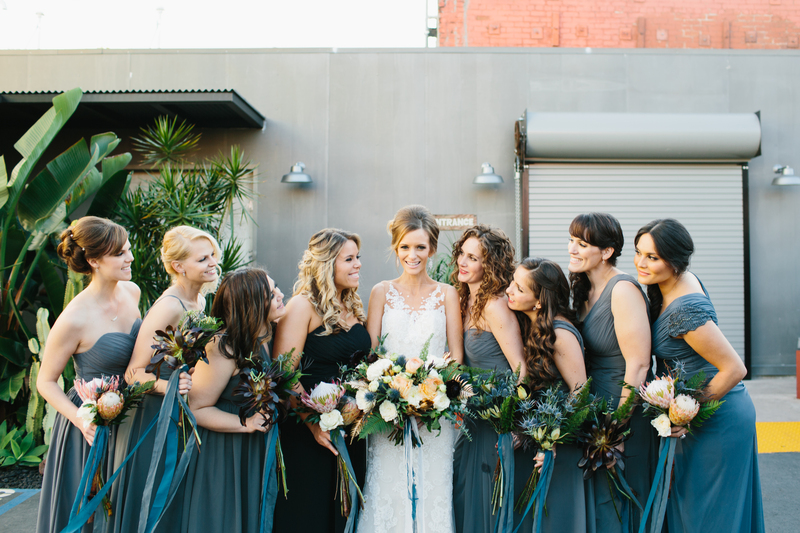 Ashley and Luis were married in a gorgeous wedding at Millwick in downtown Los Angeles. 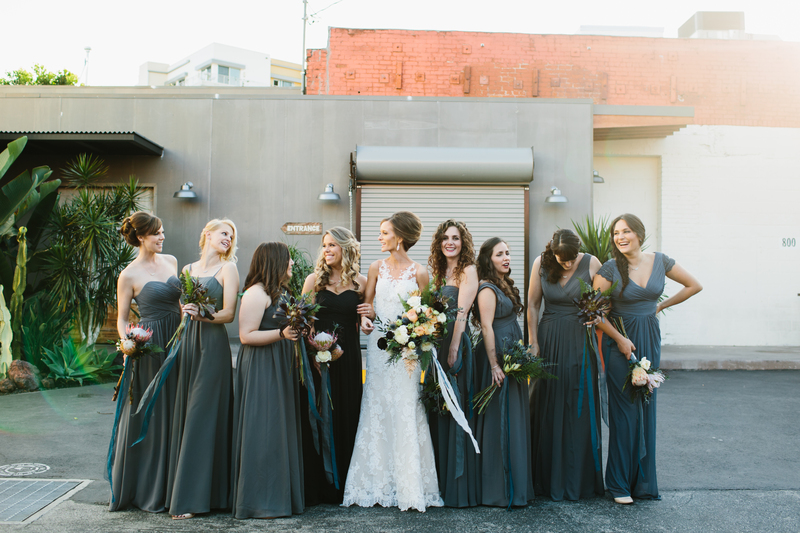 The bridesmaids wore an assortment of Azazie dresses, including the Yazmin, Kristen, Hillary and Cherish. All photos were taken by Pie Shoppe Photography. Q: Why did you choose this place for your wedding? Q: Did you have a particular theme? 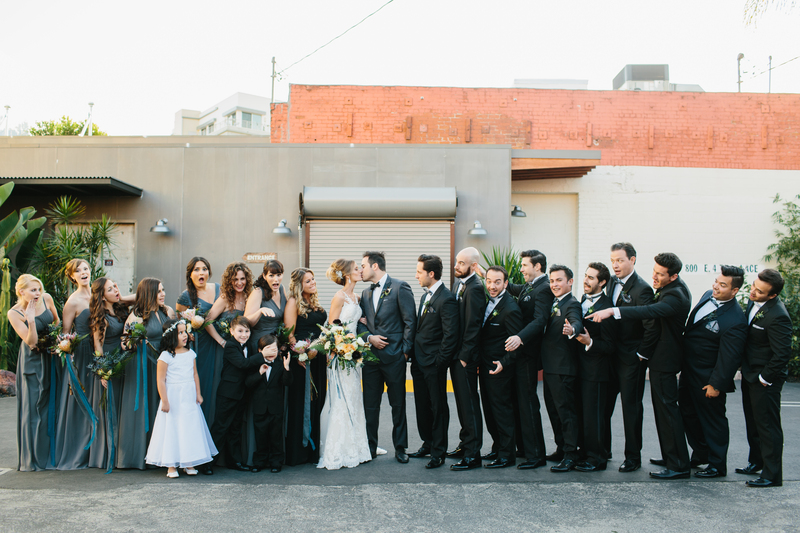 “We had an elegant and energetic modern Mexican theme set out for our wedding. Instead of focusing on colors, we had metallic and metal accents. The table setting was a palette mixing rose gold metallic napkins, gold chargers and silverware. 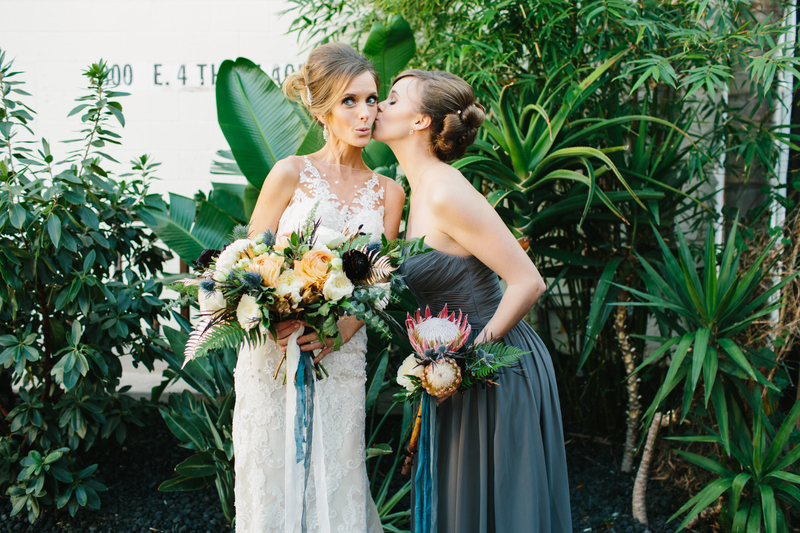 Ashley’s bouquet was neutral florals with spray painted metallic greenery. Q: Any tips for soon-to-be brides? 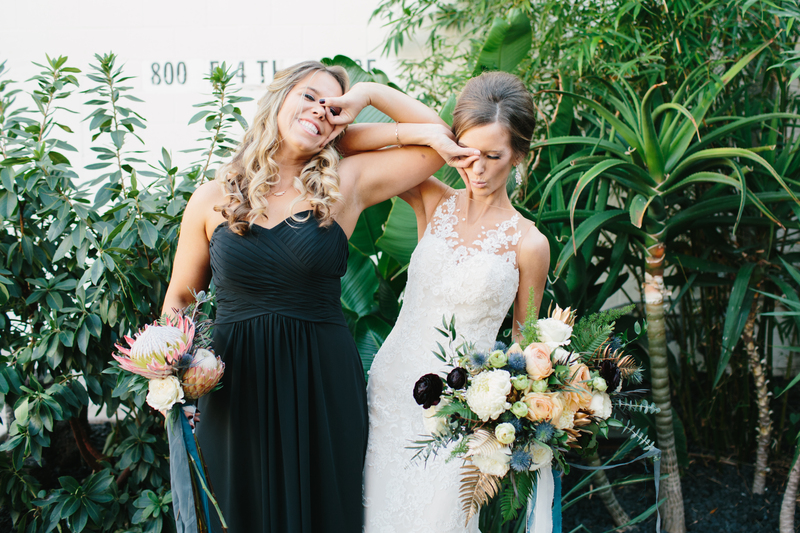 “It’s really hard to stay on budget, and especially when it comes to weddings. I learned that there is a difference between target budget and maximum budget. Target budget was how much I wanted to spend, and maximum budget was the max I knew I was comfortable spending. I suggest telling wedding vendors your target budget, and keep your maximum budget to yourself. For example, if you know you want to spend a maximum of $3,000 on something, tell them your budget is $2500. That way, when you want to add something (a special kind of flower, or upgrade your silverware or special order desserts, or whatever), you have a buffer space to work within. What is the color of these Azazie dresses? The dark grey looks almost green in these photos, it’s beautiful! This made me feel so much better about my Matron of honor! I have her in a different color dress and was stressed out that it would look bad but this took my worries away! Everyone is going to be beautiful! Congratulations!